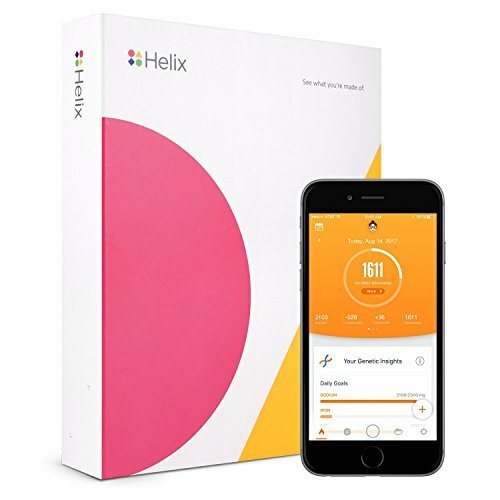 Azumio's suite of DNA + Premium Subscription products checks your genetic predisposition to food and nutrient tolerance, injury risk, and more to help you lose weight the smart way with plans customized to your DNA. Track your calories and highlight nutrients of interest based off of your DNA, such as iron intake for people predisposed to lower blood iron levels. Find out if your genotype puts you at greater risk for increased BMI, elevated bad cholesterol, lower muscle strength, and other important wellness metrics. Learn more about potential food intolerances such as lactose or gluten, as well as other nutrition insights. Learn whether you are at higher or lower risk for common sports injuries, such as ACL injury, Achilles Tendinopathy risk, and stress fractures. Make calorie counting simpler and easier. Take a food photo, and Calorie Mama will estimate calories for what you are eating. No typing necessary. Available exclusively on iOS.